After a fantastic week in Townsville the 2009 U20 and Ivor Burge champions have been crowned. Victoria finished the best of the states, claiming the Women's U20 Championship, Victoria Metro took out both Men's and Women's Ivor Burge divisions and the Men's U20 side claimed third behind champions Queensland and New South Wales. 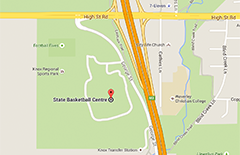 The Women's U20 team easily defeated defending champions South Australia 90-58. Elizabeth Cambage was the standout player on court with 31 points and 10 rebounds for the winners, supported by AIS teammate Rachel Jarry with 19 points and 16 rebounds. In the only Gold Medal game not to feature a Victorian team QLD recovered from a slow start to devastate NSW 111-72 in the Men's U20 final. 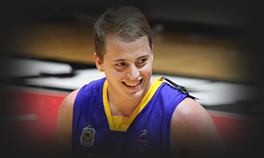 Queensland were led by Brock Motum with 27 points and 12 rebounds and Jorden Page with 25 points and 6 rebounds. Mina Aldobasic and Kim Larkin led VIC Metro to the Women's IB Championship over NSW, 77-53. VIC Metro took out another title in the Men's IB Championship defeating SA 78-59. Michael Paterson starred for the victors with 23 points and 10 rebounds. You can see all the placings from the 2009 U20 and IB Championships below and for more results go to the tournament website. All divisions at the U20 and IB Championships are into the playoffs. The finals for the Womenâ€™s Ivor Burge have been decided with Victoria Metro and New South Wales Country to contest the Grand Final, NSW Metro and South Australia will play off for third, and VIC Country and ACT to playoff for fifth position on Saturday. The Menâ€™s IB, and Womenâ€™s and Menâ€™s U20 have one more round before the final day. You can find out how the teamâ€™s are faring in the finals below. Queensland booked their place in the semi-finals of the men's tournament with a 131-48 win against Oceania on Thursday. The Maroons' stifling defence forced 38 turnovers from Oceania and restricted them to just 23 points in the first half, while on offence the scoring duties were shared, with eight players finishing with 10 points or more. Brock Motum's 21-point, 11-rebound haul led the way for Queensland, while Maruki Dury and Purrari Muri had 10 points apiece for Oceania. Queensland's semi-final opponents will be Western Australia, after they cruised to victory over the Australian Capital Territory. The Sandgropers made a statement early, rushing out to a 30-6 lead at quarter time, and never looked back en route to a 107-64 win. Again, it was a team effort on offence for Western Australia; seven players finished in double figures, with Cody Ellis and Daniel Harloe scoring 17 apiece. Daniel Beams had 18 points to lead the ACT, while Hayden Galbraith added 14. On the other side of the draw, Victoria set up a semi-final showdown with New South Wales after their 96-58 win over South Australia. Victoria dominated the glass in this game, winning the rebound count 49-27, and winning every quarter on the way to victory. Ryan Broekhoff continued his good form for the Vics, posting 28 points and 11 rebounds on 10/16 shooting, aided by an 18-point, 10-rebound haul from Jordan Vandenberg. Kurtis Phillips had 15 points for South Australia, with Rhys Elliott adding 12. New South Wales booked their passage into the semis with a 121-97 win over Tasmania. The men from the Apple Isle were able to hold their own with the Blues for much of the game, but New South Wales asserted their dominance in the second half to take the win. Jason Cadee was one of six NSW players in double figures in scoring, posting 28 points. Dwayne Radcliffe had 32 for Tasmania. In the classification rounds, the ACT will face Oceania today, while Tasmania and South Australia also meet. Victoria and New South Wales look to be on a collision course in the women's draw, after both teams won their quarter-final games on Thursday. Victoria booked their spot in the final four with a convincing 112-49 win over Queensland, their defence restricting the home team to just 24% shooting from the field. Elizabeth Cambage had 27 points and 8 rebounds to lead the Vics, while Karina Dawson had 12 for Queensland. 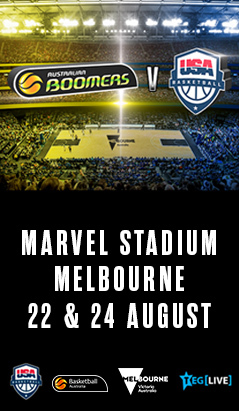 Victoria's semi-final opponent will be Western Australia, who beat the Australian Capital Territory 70-49 to advance. WA had built up a 38-20 lead at half time, but had to survive a brief scare when the ACT closed to within 11 at the final change. Janique Kautsky and Gabriella Clayton had 16 apiece for the Sandgropers, while Caitlin Rowe continued her good form at the tournament, scoring 14 to lead the ACT. On the other side of the draw, New South Wales put on a show offensively, shooting at over 55% from the field on the way to a 103-54 win over Oceania. 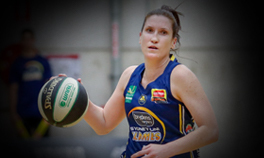 Kate Oliver scored 26 points at a 12/17 clip to lead New South Wales, with Kate Gaze adding 25 points on 9/14 shooting. Derin Santos had 10 points to lead Oceania. The win sets up a semi-final matchup on Friday with South Australia, who were too good for Tasmania on Thursday. The Croweaters lead 48-27 at the main change, and while Tasmania managed to close to within 12 at the final break, South Australia held on to advance. AIS player Tess Madgen was the standout player for South Australia with 16 points and 15 rebounds; her WNBL AIS teammate Bree Farley added 15 points. Brianna Russell was the game high scorer with 21 points for Tasmania, with Stacey Poke adding 12. The classification round today will see Tasmania facing Oceania, while Queensland takes on the Australian Capital Territory. Classification games will be held at the Crocodiles Club, with the semi-finals taking place at NPA Stadium. New South Wales Country's unbeaten run in the Ivor Burge women's division came to a halt on Thursday, as they were downed by the other unbeaten team in the competition, Victoria Metro. The Vics won the game 76-34, but NSW Country will get their shot at revenge on Saturday; the two teams finished on top of the ladder, and will meet in the championship game. Mina Aldobasic was the top scorer in the game, posting a 36-point haul for Victoria Metro. The bronze medal game will be fought out between New South Wales Metro and South Australia; the two teams met in the final round-robin game on Thursday, with NSW Metro cruising to a 98-26 victory. Erica Spiteri and Kelly Wren posted 22 points each for Metro. In Thursday's other game, Victoria Country rallied from 11 down at the final break to beat the ACT 43-42; Rebecca McNamara had 18 points to lead Country's fightback. The final games from the men's Ivor Burge preliminary round will be played today, with Victoria Metro looking to sew up top spot against the ACT, and South Australia hoping to secure second with a win against New South Wales Country. Only one game was played on Thursday, and it saw Tasmania move off the bottom of the ladder with a win over the Australian Capital Territory. The ACT led at the half-time break 40-32, but Tasmania dominated the second half to run out 92-77 winners. Bruce Stanley produced a 45-point haul for the Islanders. Tasmania takes on Victoria Country on Friday. 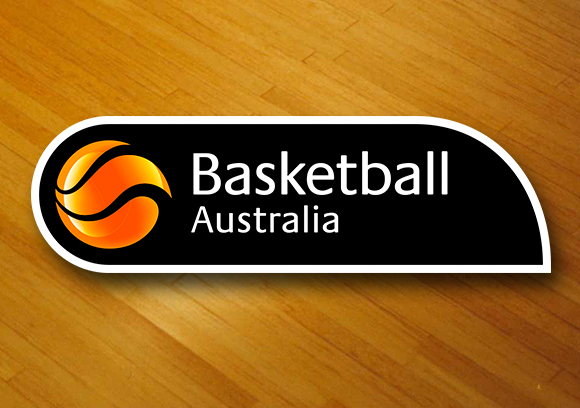 The U20s begin the first round of the Qualifying Finals today in Townsville. All teams will contest Round 1 of the finals. 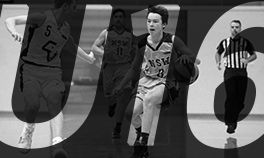 Leading the pack in the U20's Women's division are the undefeated New South Wales and Victorian teams and in the Men's competition only the Queenslander's are yet to drop a game. Western Australia and the ACT will open proceedings at 1pm. The ACT lost their first two games, but could be hitting form at the right time; led by Igor Nujic (15.7ppg 9.3rpg in the tournament), they scored a win over Tasmania on Tuesday to move off the bottom of their pool. They'll face a Western Australian team that won two games in the group stage, and led New South Wales for almost three quarters in the third. The ACT will need to find a way to stop the Sandgropers' scoring trio- Ben Purser, Cody Ellis and Reece Maxwell combine for an average of 41 points per game in this tournament, and ACT leading scorer Igor Nujic will need some help if his team is to post the upset. Victoria takes on South Australia at 3pm. Victoria looked to be cruising in the tournament until they succumbed to the three-point assault of Queensland on Tuesday; this game presents their chance to get back on track. With Ryan Broekhoff on song, Victoria will be a formidable opponent for any team at this stage of the tournament. South Australia, meanwhile, traditionally needs no encouragement for games against Victoria in any sport; the Croweaters won't have any trouble getting motivated for their old rivals. South Australia's team game gets everyone involved at both ends; SA has two players in the top five for assists in this tournament, and two SA players lead the competition in steals. New South Wales and Tasmania will meet at 5pm. New South Wales' one-two punch of Jason Cadee (the tournament's scoring leader at over 24 points per game) and Shane Harris-Tunks (third in the competition in rebounding) saw them come within two points of sweeping their round-robin games; only South Australia got in their way. The Blues still finished top of their pool and now face Tasmania, who are winless in their three starts in the tournament. Dwayne Radcliffe and Lucas Simpson have provided the scoring punch, but the men from the Apple Isle will face a tough challenge. The home team, Queensland, plays the nightcap at 7pm against Oceania. Queensland looked stellar in their Tuesday win over Victoria; guards Christian Salecich and Jorden Page were on fire from deep, and in Brock Motum and Mitch Young they have a strong duo up front. Their opponents, Oceania, are yet to win a game in the tournament and have an average losing margin of almost 50 points, but their loyal- and vocal- following will be right behind them. Look for Reiheiti Sommers and Maruki Dury to get in the action for the men in purple. They'll get theirs on the night, but form suggests it won't be enough to stop the home team from advancing. In an odd coincidence, the opening game sees the Australian Capital Territory taking on Western Australia at 1pm- at the same time their respective men's teams are playing at the Crocodiles Club. The ACT team finished with two wins from their three pool games, led by one of the standout performers of the tournament in Caitlin Rowe. 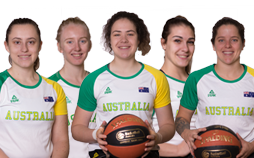 Western Australia struggled in their pool games, recording their only win against Oceania; they'll need strong performances from their leading scorers in Janique Kautsky (11ppg) and Danielle Devenny (9.7ppg) to push the ACT team in this one. South Australia and Tasmania will tip off in their quarter-final at 3pm. South Australia were within a point of going through the group stage undefeated; they led the Victorian team by 7 at the final change in their last game, but simply couldn't hold on down the stretch. Tess Madgen's 29-point, 10-rebound haul in that game could be a sign of things to come; South Australia will surely want a second shot at the Vics to see if the result can swing their way in the games that matter. Tasmania has had great performances from Brianna Russell and Catherine Guest, but weren't quite able to translate those into wins; they'll need their two form players to fire if they are to cause an upset against the favoured Croweaters. The undefeated New South Wales team will face Oceania at 5pm. New South Wales, led by WNBL players Kate Gaze and Michelle Joy, have had little difficulty scoring in their three pool games. They were best in their pool at scoring and in fewest points conceded, and will be more than a match for Oceania, who have conceded an average of almost 69 points per game to their opponents. Victoria and Queensland face off in the final game of the evening, starting at 7pm. The Vics dominated the pool stage of the tournament, winning by an average margin of 43 points in their three games; boasting a lineup consisting of five WNBL players from the Australian Institute of Sport, and led by 203cm centre Elizabeth Cambage, Victoria have the talent at every position, and don't rely on any individual to carry the team. The home team has struggled at this tournament, and will head into Thursday's quarter-final as underdogs; even home court advantage, and the form of Karina Dawson and Odette Andrew may not be enough to lift Queensland to victory in this one. 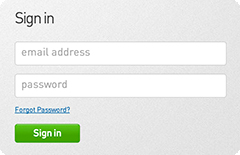 For more information and to follow the games with LIVESTATS click here. Looking ahead at today's action the U20's divisions begin the Qualifying Finals today while the Ivor Burge competitions still have pool play to complete. 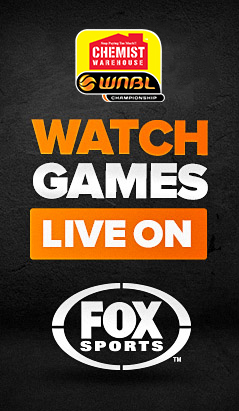 In the first cross over games today tipping off at 1pm ACT play WA, top-of-the-ladder SA take on TAS, the Oceania All-Stars face NSW and to finish the Qualifying Finals at 7pm, the undefeated second-placed VIC and fourth-placed QLD will do battle. Queensland are the only undefeated team in the U20 Men's, claiming first spot in Pool 1 with three wins. VIC finished second after pool play, ACT in third with one win and TAS was fourth. NSW finished on top with two wins and one loss in Pool 2, beating WA and SA on points for and against, Oceania finished fourth in pool with three losses. The Ivor Burge divisions are still in pool play on Wednesday but in the Women's competition NSW Country lead the pack, undefeated in three outings followed by SA and VIC Metro. In the Men's VIC Metro are also undefeated in three games with SA and VIC Country both on two wins and one loss. Currently the Victorian Metro IB Men's outfit are on top of the ladder after producing some solid wins. Their encounter yesterday against SA was a great match to watch with Vic Metro eventually winning 59 - 55. Brad Lee's gallant effort of 27 points for SA was not enough to get his team across the line. 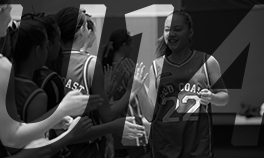 In what can only be called a scoring spree New South Wales Country 104 points defeated Tasmaina 91. An impressive victory after a very entertaining game. Mitchell Marvak and Lee Towers leading the way with 32 and 31 points respectively for NSW Country. While an impressive contribution of 44 points from Tasmanian Bruce Stanley. 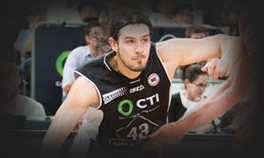 In the other clash of the day, Victoria Country easily accounted for ACT men winning this clash 72 - 54. What a wonderful and enthusiastic group of players in the ACT IB Women's teams. Loud chants and cheers every time they come into our venue. However, this was not enough today to get them across the line, with New South Wales Country winning 77 - 24. For NSW Country Jessica Duncan 16 points, closely followed by Bernadette Barden 14 and Nicole Skerman 12 points. Gallant perform from Biljana Boskov with 10 points for her team. In the closest contest for the day, South Australia defeated Victoria Country 52 to 42. This was an action game for spectators, keeping them on the edge of their seats. Leading the way for SA was Jasmine Crewdson 26 points and Rebecca Sargeant 18. The third match of today's round was between Victoria Metro and New South Wales Metro. Victoria girls winning comfortably 74 to 32. Good team performances by all players for the blues with Molly Urquhart-Moran 19 points and Kim Larkin 16 points. 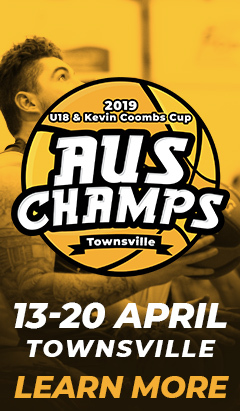 In Day 2 action at the U20 & IB Championships in Townsville it is the final day of Pool Play for the U20 Men's and Women's Championships, the last chance for teams to set themselves up in a good position for the playoffs. Victoria and Queensland won their respective matches on Monday, setting up a Tuesday afternoon showdown for first place between the two red-hot teams. Victoria got off to a fast start against the Australian Capital Territory in their game on Monday, opening up a 29-9 lead at the first break. From there they won the second and third quarters, eventually running out 98-56 winners. 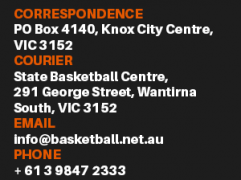 Six players finished in double figures in scoring for the Vics, led by Matthew Dellavedova with 18 points. Igor Nujic had 17 to lead the ACT. The other Pool A game on Monday also had a large margin, as Queensland dominated their game with Tasmania. The home team scored at will on their way to a 133-64 win, with eight players scoring ten or more points. Brock Motum (22) and Jorden Page (20) were Queensland's leading scorers, with Joss Mooney scoring 11 for Tasmania. The winner of Tuesday's Victoria/Queensland game will be top seed in Pool A, while the winner of the match between ACT and Tasmania will finish third. On the other side of the draw, South Australia caused a minor upset, holding off New South Wales to record their first win of the tournament. In a close game throughout, the team from the Festival State held their nerve down the stretch, winning 75-73 and opening up a range of possible outcomes in the standings. Tom Daly had 20 points to lead South Australia, while Jason Cadee had 21 for New South Wales. Western Australia's fate, meanwhile, is in its own hands after their 98-64 win over the Oceania All-Stars. The result was never in doubt after the Sandgropers took a 50-15 lead into the half-time break, but enthusiastic crowd support for Oceania helped them outscore the Westerners in the second half. Ryan Godfrey had 17 for WA, while Rahiti Teriierooiterai had 16 for Oceania. The result sets up a potential fight for first place on Tuesday afternoon, with Western Australia (2-0) and New South Wales (1-1) drawing each other for the final game in the group. A win for the West sees them take top spot. South Australia continued their good form at the start of the tournament, downing Western Australia to move to 2-0 on Monday. The Croweaters entered the final quarter down a point, but a 19-9 final term helped them rally to secure a 75-66 victory. Tess Madgen had 19 points, 9 rebounds and 4 assists for South Australia. 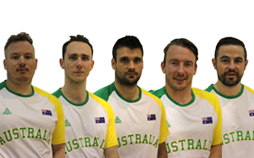 Their opponents on Day 3 will be Victoria, who are tied with them on top of Pool A on win/loss record after their 110-33 victory over Oceania. The winner of Tuesday's Victoria/South Australia game will be top seed for Pool 1 when the classification rounds begin on Thursday, while the winner of the Western Australia/Oceania game will be third seed. In Pool 2, New South Wales is on top after their 72-61 win over the Australian Capital Territory. Once again the margin was just one point going into the final term before a 23-13 surge helped the Blues over the line. Michelle Joy was the scoring leader for New South Wales, posting 23 points and 13 rebounds, with Kate Gaze adding 19. Caitlin Rowe continued her good form for the ACT, scoring 19 points and pulling down 8 rebounds. The pool was thrown into disarray when Tasmania defeated Queensland 80-65, with three teams now potentially able to finish on top depending on results on Tuesday. 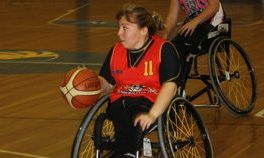 Tasmania capitalised on a 53-36 rebounding advantage to record the win, in the process setting up an exciting day's play in the final round-robin games. Brianna Russell had 24 for the Apple Islanders, assisted by Catherine Guest with a haul of 23 points and 18 rebounds. The results mean that New South Wales will guarantee themselves top spot with a win against Queensland; beyond that, any combination is possible. If Queensland beats New South Wales and Tasmania beats the ACT, there would be a three-way tie on win/loss record. For now, all that we know is this: it's all very much up in the air until the buzzer sounds on the final game on Tuesday. The South Australian Women's IB team had a comfortable victory of the ACT 57-23 but New South Wales Country and Metro had a much closer battles, NSW Country eventually coming out on top led by Eliza Barden with 31 points. In the IB Men's action SA defeated VIC Country 80-61 and VIC Metro beat NSW Country 82-40, VIC Metro's Michael Paterson led all scorers with 25 points. The New South Wales and Oceania U20 teams were the first to take the court in this year's Championships, and the Blues took out their Pool B clash, winning 109-43. Their defence forced 35 turnovers from Oceania, and their offence was firing as well, allowing them to open up a 64-17 lead at the main change. NSW's Jason Cadee was the game high-scorer with 20. New South Wales is on top of Pool B, ahead of Western Australia, who also won their opening match in the tournament. 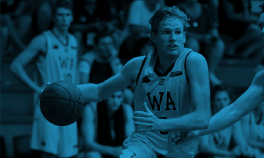 The WA men were involved in a tight tussle with South Australia, but a 21-3 second quarter proved to be the difference, with the men from the West winning 69-56. Cody Ellis had 21 points for Western Australia, while Kurtis Phillips racked up 15 points and 10 rebounds for a valiant South Australian side. In Pool A, Victoria opened their campaign with a 124-54 win over Tasmania on Sunday. An opening-quarter blitz by the Vics saw them take a 39-7 lead into the first break, and they continued to pile on the pressure, forcing 28 Tasmanian turnovers. Ryan Broekhoff had 29 points and 10 rebounds to help send his team to the top of the pool after the opening game. The other Pool A game in the men's draw saw Queensland victorious over the ACT. The home team won 88-62 after building their lead in a 28-12 second quarter. Brock Motum (26) and Mitch Young (20) were the top scorers for Queensland. South Australia is on top of Pool A in the women's tournament after their comprehensive 122-42 victory over the Oceania All-Stars on Sunday afternoon. The South Australians dominated every aspect of the game, and shared the spoils, with eight players finishing with more than 10 points. Ieva Nagy had 19 to lead the victors, while Rebecca Tomada and Brittany Hazelman had 7 apiece for Oceania. South Australia's chief Pool A rival looks to be Victoria, who comfortably accounted for Western Australia 82-31. WNBL player Elizabeth Cambage had 16 points and 15 rebounds for the Vics, who outscored WA 43-15 in the second half. Closer matches were the order of the day in Pool B. Queensland did it tough against the ACT, coming back from 6 down at the last change to win 64-58. Neither team had a significant advantage over the other in the course of the game, although the ACT team may see this as "one that got away" due to their 1/20 outside shooting. Caitlin Rowe was the standout for the ACT with 24 points and 15 rebounds, while Karina Dawson led the home team with 23 points. Queensland is second in Pool B behind New South Wales, who lead the group after their 76-50 win against Tasmania. Kate Gaze had 24 to lead NSW, who powered away from their opponents after the quarter-time break. Victoria's Ivor Burge entrants were able to keep pace with their Under-20 men's and women's counterparts. In the men's division, both Victoria Metro and Victoria Country won their respective games and share top spot on the ladder after the opening day. Craig Finley scored 24 to help Victoria Country past New South Wales Country; Mitchell Marvakâ€™s 30 for the Blues wasn't enough to prevent Victoria's 67-51 win. Meanwhile, Victoria Metro defeated Tasmania 110-50 on the back of a 32-point haul from Michael Paterson. 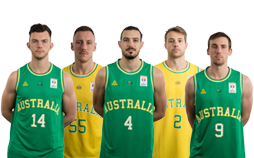 South Australia's men's team were also victorious on opening day; Joshua Bryant led the SA men with 22 points as they won their game against the Australian Capital Territory 72-44. Aaron Clarkson led the ACT with 15 points. In the women's division, Victoria Metro also got off to a strong start, winning their opener against South Australia 88-29. Mina Aldobasic had 19 points, and was one of four Vic Metro players to score in double figures. Undefeated along with Victoria Metro are New South Wales Country, who defeated Victoria Country 76-17 on the back of a 29-point haul from Nicole Skerman, and New South Wales Metro, who downed the ACT 63-10. Laura Pitt had 20 points to lead NSW Metro. You can follow the games with LIVESTATS and check the results on the National Championships website. 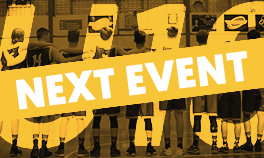 The countdown is on to the Under 20 and Ivor Burge Championships with just three days remaining until the tip off on Sunday at New Projects Australia Stadium in Townsville. 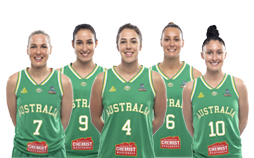 The first day features an exciting Women's National Basketball League clash between the third-placed Townsville Fire and the league-leading Canberra Capitals, giving the athletes a chance to see Australia's elite basketball players up close, followed by the official opening ceremony. Teams trying to defend their titles in 2009 are South Australia in the U20 Women's division and Victoria in the Men's, and in the Ivor Burge Championships NSW Metro are the Women's Champions and Victoria Metro were the 2008 Men's Champions. All-star teams from Oceania will be entered in the Men's and Women's competitions in the U20 Championships to battle against the states and territories of Australia. The Oceania teams are part of the Oceania Development Program with FIBA Oceania and feature players from Tahiti, Fiji and Papua New Guinea, the players have following their own home training programs but have now arrived safely in Townsville to prepare for the championships. 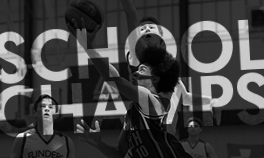 The finals will take place on Saturday 21st February and to stay in touch with all the action from the championships check the Basketball Australia homepage for updates.